One bangle is plain, the other are incised with geometric motifs and archaistic decoration. 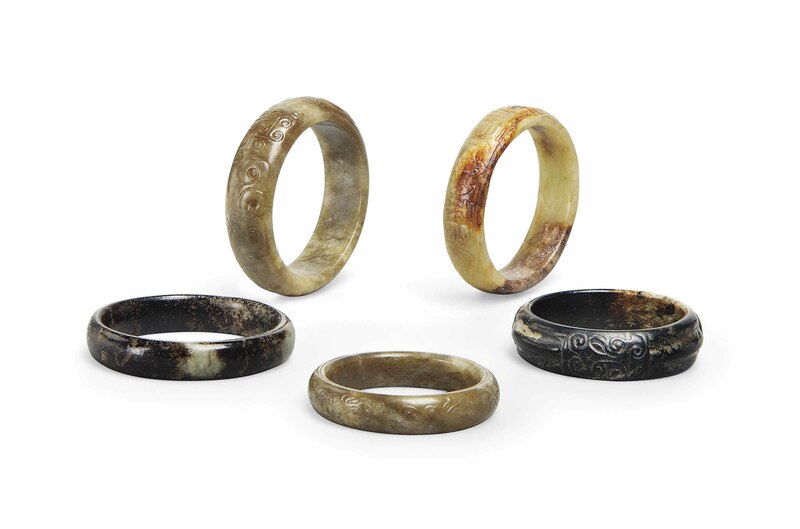 The stones of various tones, varying from pale celadon to dark brown. The largest 3.1/2 in. (9 cm.) diam.